If there is one question authors are asked more than 'When is your next book coming out', it's writing advice for aspiring authors. 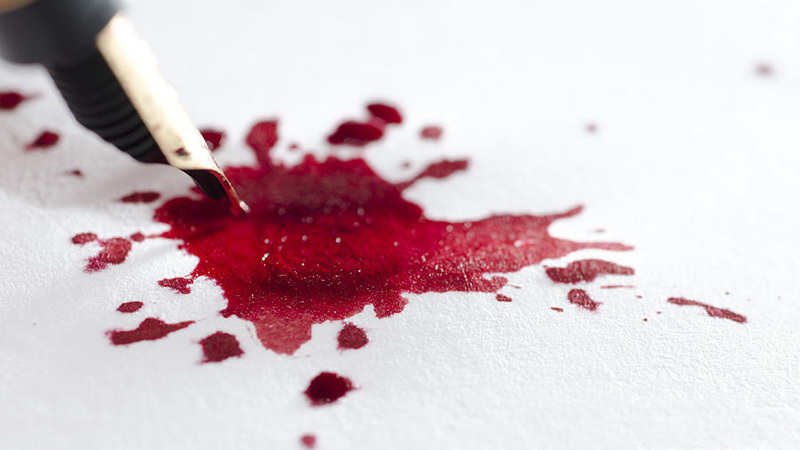 Here are ten tips from some of the most successful crime authors to help you start and finish your masterpiece. Stephen King writes every day of the year, including his birthday and holidays, and he almost never lets himself quit before he reaches his daily quota of two thousand words. He works in the mornings, starting at around 8 am. Some days he finishes up as early as 11:30 pm, but more often it takes him until about 1:30 am to meet his goal. Peter James's favourite time to write is in the evening. "I mix a massive vodka martini, always with four olives, put on either jazz or opera, turn off the phone and log off from my email and start blitzing." Agatha Christie would write anywhere she could "I never had a definite place which was my room or where I retired especially to write... All I need was a steady table and a typewriter. A marble-topped bedroom washstand table made a good place to write; the dining-room table between meals was also suitable." Truman Capote could only write lying down: "I am a completely horizontal author. I can't think unless I'm lying down, either in bed or stretched out on a couch and with a cigarette and coffee handy." The demands of everyday life can be distracting, especially if you're writing a new novel. Ian Rankin found the perfect solution by escaping to his house on the coast of Scotland: "Very limited mobile phone signal and no TV. There’s a landline but I haven’t given the number to my agent, publisher or any journalist. Perfect." Val McDermid finds train journeys the perfect place to write uninterrupted: "I like to write on trains. The Wi-Fi is usually dismal, the phone signal intermittent at best and people generally respect the earphones and the open laptop. I’m often surprised by how much I’ve managed to get done on a train journey." Whilst writing Gone Girl, Gillian Flynn would make sure she took frequent breaks for Netflix or a video game or two: "I’m a staunch believer in pottering about—I’ve had some of my best writing epiphanies when I’m doing things that have nothing to do with writing. So I may play a round of Ms Pac-man or Galaga. I rock at both." Martina Cole gets a lot of her ideas from reading news stories and P D James suggests carrying a notebook with you everywhere "Never go anywhere without a notebook because you can see a face that will be exactly the right face for one of your characters, you can see place and think of the perfect words to describe it." Whether it's the location or a situation between characters, you should write about it because it is genuine and that will come through in your novel. P D James says, "You absolutely should write about what you know. There are all sorts of small things that you should store up and use, nothing is lost to a writer. All experience, whether it is painful or whether it is happy is somehow stored up and sooner or later it's used." The hardboiled author Raymond Chandler said " It must be realistic in character, setting and atmosphere. It must be about real people in a real world." Whether you do your research before you put pen to paper, or after the first draft, research makes a big difference. Ann Cleeves does all her research once she's finished the first draft of her novel "I follow the great John Mortimer's advice - write the book first and do the research after. It seems counter-intuitive, but this really is the best way. Once you've written the story you realise where the gaps in your knowledge lie." Reading the classics will make not only a better reader, but a better writer. Take notes on what makes the novels great from plot twists and to character descriptions. Patricia Highsmith, author of The Talented Mr Ripley, would sit on her bed surrounded by cigarettes, ashtray, matches, a mug of coffee, a doughnut and an accompanying saucer of sugar. She had to avoid any sense of discipline and make the act of writing as pleasurable as possible. From Marx to Murakami and Beethoven to Bacon, Daily Rituals examines the working routines of more than a hundred and sixty of the greatest philosophers, writers, composers and artists ever to have lived.